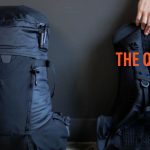 Odd Lot Labs contacted me to create a promo video to launch their new backpack, as well as a set of supporting media including looping videos, Instagram content, stop motion advertisements, and cinemagraphs. We walked through a process of brainstorming and branding that led to a crowdfunding launch that fully funded in a matter of hours! I read this article and found it very interesting, thought it might be something for you. The article is called Odd Lot Labs – Launch Campaign and is located at https://atelierpictures.com/stories/odd-lot-labs-launch-campaign/.